The Malaysian Army is looking to replace its 105mm howitzers but funding has not been made available save for a small purchase of 18 Nexter LG1 105mms. Dzirhan Mahadzir – Despite an approaching Defence White Paper, fiscal frugality looks set to dominate near-to mid-term defence acquisition projects. Despite a change of ruling party for Malaysia’s government in May 2018, there have been no significant developments in regard to Malaysia’s defence or the Malaysian Armed Forces. To a large extent, this is not surprising considering the Prime Minister is Mahathir Mohamad. While his first tenure saw a number of major defence purchases, many of these were made on the basis of economic benefits, political relations, technology transfers and offsets rather than pure defence or strategic requirements and to a large extent, Mahathir’s pacifist nature also meant that defence capabilities were never seen as a priority or essential to the nation. To a certain degree, a number of the problems in Malaysia’s defence status are the result of decisions undertaken during his time as Prime Minister, though both his successors as Prime Ministers also contributed by postponing defence programmes while not addressing funding issues for defence. Prime Minister Mahathir is now governing with a largely inexperience cabinet and his coalition government is grappling with effectively managing a government while addressing issues pertaining to corruption by the previous government, including the trial of former Prime Minister Najib Tun Razak on corruption charges. Given that, it is unlikely that Prime Minister Mahathir will push for new defence developments or increased defence spending as the main priorities will focus on governance. There is already little extra money for defence. 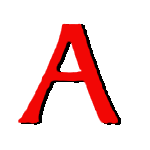 Since taking over, the Pakatan Harapan government has continually stated that Malaysia’s finances are constrained due to the excesses of the previous government and in fact it must cancel various undertakings agreed to by the previous government, in particular with China, which would necessitate the payment of financial compensations for such cancellations. Thus the outlook for defence procurement is not positive and there is little indication of any significant defence procurement being funded. The government has announced plans for a defence White Paper that is to be presented to the cabinet in July this year and following that, to Parliament in September. So far, little has been revealed about its contents and whether it will actually set out procurement and development programmes to be carried out in specific timeframes with a specific amount of funding allocated. 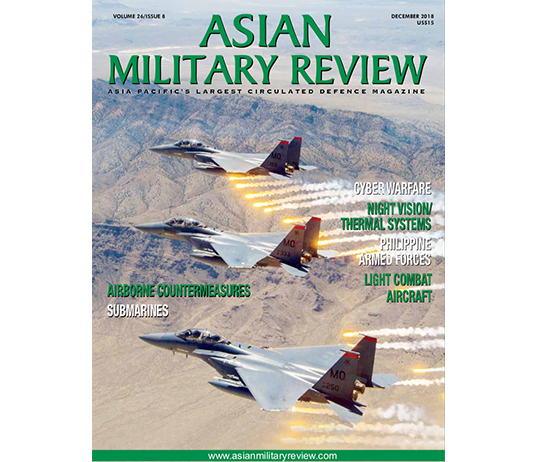 Since the May 2018 General Election, a number of changes have occurred to the senior leadership of the Malaysian Armed Forces (MAF). Chief of Defence Force General Raja Affandi retired on June 2018; his service had been extended beyond the mandatory 60 years old retirement age (which he reached in June 2017) by the previous government though it was not known whether the extension was on an annual basis or a set number of years. The new government decided to dispense with his tenure and appointed a new CDF in General Zulkifli Zainal Abidin who had been scheduled to retire shortly after the election. General Zulkifli had been Army Chief from 2011-2013 when he was inexplicably transferred to command the National Defence University (NDU), which was responsible for producing degree qualified cadet officers for all three services of the Malaysian Armed Forces, a command position normally held by a three star officer. Outwardly the move was said to be an effort to prevent the Education Ministry, which co-administered the NDU with the Defence Ministry from gaining control of the University via the seniority of the Education Ministry’s representative at NDU. However it was likely that Zulkifli’s transfer there was a move to exile him as in 2013 he had been privately critical of how the Malaysian government handled the Lahad Datu incident (an insurgent crisis in Sabah) of 2013. His criticisms allegedly stated that there had been too much micromanagement of the event from the top level of Malaysia’s political and security leadership. In the end though, Zulkifli’s exile and estrangement from the MAF leadership, who had been used by the BN government as part of its election campaign strategy, resulted in the new Pakatan Harapan government selecting Zulkifli as a suitable candidate. No statement has been made as to how long Zulkifli’s tenure as CDF will be but sources have stated it would likely be until mid-2020. Changes also occurred subsequently in the leadership of the Malaysian Army and Royal Malaysian Navy, with both General Zulkiple Kassim retiring in September 2018 and Admiral Ahmad Kamarulzaman in November 2018, both reaching the mandatory retirement age. General Hasbullah Nawawi and Admiral Reza Sany took over as the Chief of Army and Chief of Navy respectively. The leadership of the RMAF remained unchanged with General Affendi Buang only reaching retirement age in 2022. 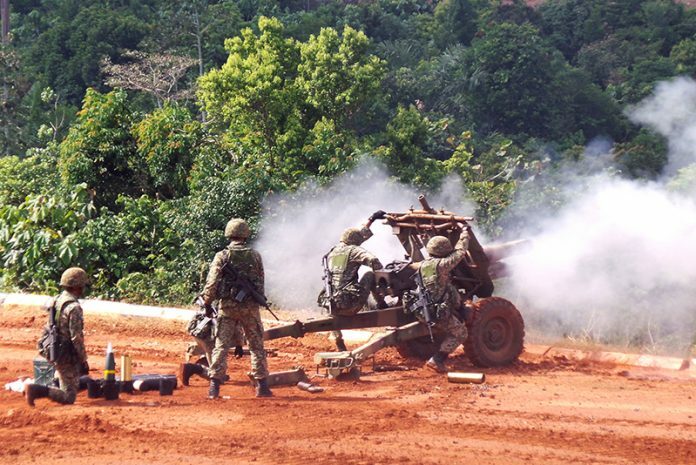 Of the three services, the Malaysian Army faces the least problems given most of its programmes are running smoothly. Deliveries of the Deftech AV-8 Gempita is expected to be completed by 2020 with over half of the 257 vehicle order already delivered and in service operationally. Prior to the change in government, at the 2018 Defence Services Asia exhibition held in April that year in Malaysia’s capital of Kuala Lumpur, a contract was signed for the purchase of 18 Nexter LG1 105mm howitzers and an agreement with the United States government for the transfer of 29 Excess Defence Articles M109A5 155mm Self Propelled Howitzers. The current government has approved both agreements and the LG1s are expected to be delivered in 2020. The guns will replace the Oto Melera Model 56 pack howitzers used by 1 Royal Artillery (Para) Regiment which provides artillery support for 10th Parachute Brigade. The Model 56 pack howitzer is also the standard 105mm for the rest of the Army’s artillery regiments and the Army has plans for these to be replaced though funding has not been allocated yet. 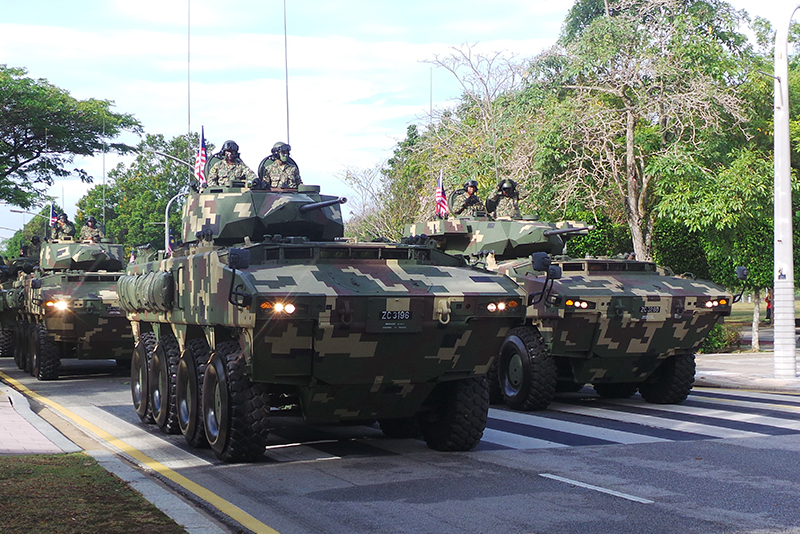 Over half of the Malaysian Army’s order for 257 AV8 Gempita AFVs has been delivered. Seen here is the IFV25 variant on the left with the ATGW variant on the right. Meanwhile the M109s are in the process of being refurbished with 19 vehicles to be returned to service while the remaining 10 will be cannibalised for spare parts. Work on the M109A5s is expected to be completed by 2022. The Malaysian Army will likely form a new regiment for the self-propelled guns. 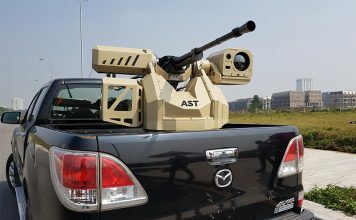 It also has long term plans for a third regiment of Multiple Rocket Launchers to complement the two Astros II regiments and bring up the MRL strength to a full brigade but funding again has been stagnant for this requirement. Also unresolved is the decision on whether to upgrade the Army’s 4×4 Condor wheeled Armoured Personnel Carriers (APCs) that have been in service since the 1980s – over half of the original 400 vehicles are still in service. Deftech of Malaysia has submitted two upgrade prototypes, one being its own upgrade design while the other is a collaboration between Deftech and Thailand’s Chaiseri which incorporates more improvements but at a higher cost. The Royal Malaysian Navy is committed to its 15-to-5 Transformation Plan initiated by the previous Chief, Admiral Kamarulzaman, which envisioned the RMN reducing its 15 classes of ship types in service to five classes. However, current chief Admiral Reza has order a review of the plan. In a speech on 8 January this year, Admiral Reza stated the phasing out dates for the four Laksamana class corvettes and four Mahamiru class minehunters would be revised and his intention was for the two ship classes to continue service for the time being. Originally the Laksamanas were to be phased out starting this year with the final ship phased out in 2020 while the Mahamirus would also begin their phasing out this year with the last ship phased out in 2021. 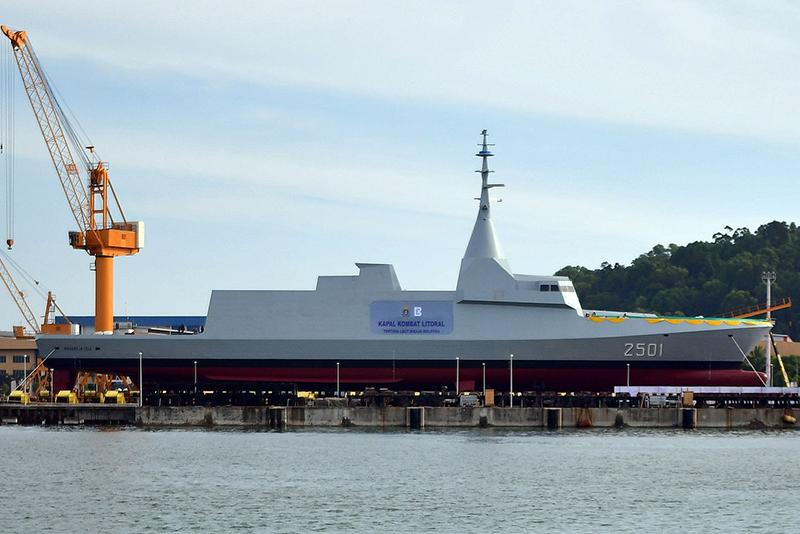 The decision to retain both ship classes likely lies in the fact that the RMN is not expected to receive any immediate funding to obtain additional ships while continued delays to the six ship Maharaja Lela class Littoral Combat Ships under construction and expected. The first of class was to have been completed by the end of 2018 but the date now has been pushed back to the end of 2019. The delays in completion appear to lie in delayed delivery of components and subsystems that Malaysian contractors were supposed to provide. The RMN is scheduled to receive the first of two Littoral Mission Ships built in China in December this year with the second one in 2020. Local construction of two LMS by Boustead Heavy Industry Corporations, which also builds the Maharaja Lela LCSs, is supposed to begin in the middle of this year. The RMN will also receive in late 2019 a total of six Boeing Insitu Scan Eagle UAVs under the US Maritime Security Initiative. The RMN plans to operate the Scan Eagles from land over Malaysia’s portion of the South China Sea before expanding operational coverage of the Sulu Seas and conducting shipboard operations. The Littoral Combat Ship Maharaja Lela at Boustead Naval Shipyard dock in 2017. Delevery has been delayed. 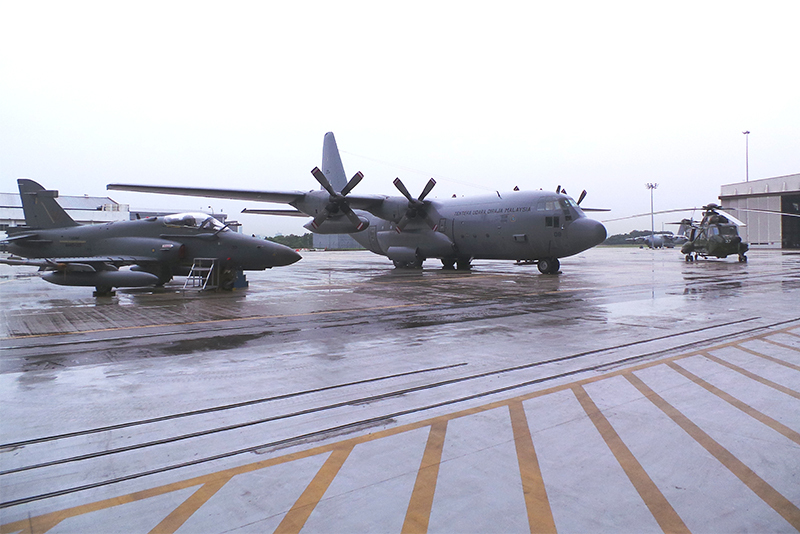 The RMAF plan to obtain four Maritime Patrol Aircraft received a major setback on 7 August 2018 when the Defence Ministry gave a written reply to a member of Parliament stating that the programme had been cancelled in line with the current government’s policy to re-evaluate all programmes initiated by the previous government but stated that it could be considered in the future if it was a priority. Subsequently on 9 August Defence Minister Mohamad Sabu stated in Parliament that a combination of maritime surveillance aircraft and UAVs were required for surveillance in Malaysian waters though he added that this was the requirement under the RMAF Capability 55 Plan. 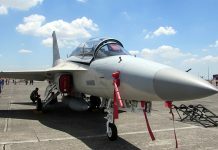 The decision to proceed with the upgrade programmes for the RMAF’s BAE Hawk, Lockheed Martin C-130 and Sikorsky S61A Nuri fleet are still to be made. Released in July 2018, the Capability 55 plan envisages a development plan for the RMAF by 2055 where the RMAF would consist of two Multi-Role Combat Aircraft (MRCA) squadrons, three Light Combat Aircraft (LCA) squadrons, a single strategic airlift/ multi-role transport tanker squadron, two tactical airlift squadrons, two combat search and rescue helicopter squadrons and a squadron each of Maritime Patrol Aircraft (MPA), UAVs and Airborne Early Warning and Control (AEW&C) aircraft. Nine radar stations and a ground based air defence regiment are also included in this plan. 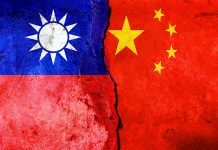 However, the widely acknowledged problem with this plan is that it postulates too long a period to achieve the end state and there has been no indication so far of the government committing itself to supporting it fiscally. Even current RMAF programmes that are supposed to be carried, at the time of writing, have yet to be given any assurance of their completion, namely the planned upgrades of the BAE Hawk fighters, Lockheed Martin C-130 Hercules transports and S61A Nuri helicopters. 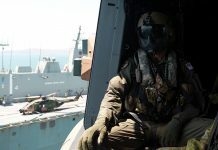 It is possible that the Hawk upgrade could be superseded by the LCA requirement or even vice versa while the continued service of the Nuri helicopters may be reconsidered given the considerable age of the fleet. Since January 2019, Requests for Information (RFI) have gone out to Leonardo on the M346, KAI on the FA-50, HAL for Tejas and Pakistan Aeronautical Complex for the JF-17 in regard to the LCA requirement. In terms of UAV requirements, RFIs have been sent to General Atomics for the MQ-9B Sea Guardian, AVIC for the Wing Loong II and Turkish Aerospace Industries (TAI) for its Anka UAV with TAI already having a partnership with Malaysia’s Deftech in providing the Anka to meet Malaysia’s requirement. However given both the LCA and UAV programs are not budgeted for or even formally approved by the government, it is more likely the RFIs were to encourage industry participation of the Langkawi International Maritime and Aerospace exhibition in March 2019 in Malaysia. Given the issues in Malaysia ranging from the political to the fiscal, defence is expected to receive low priority. Although a Defence White Paper will be issued for the first time in line with the Pakatan Harapan government’s stated intention of reform, its impact will depend on the contents of the White Paper. A generalised document without any substance, emphasis or commitment will be of little use to tackling the issues of renewing the Malaysian Armed Forces along with equipping and supporting it adequately. It remains to be seen whether the Pakatan Harapan government is serious about tackling the issue of defence in Malaysia but the White Paper, when it comes out, will reveal its true intent.